Are There Hidden Costs When Leasing a Car? What additional costs are involved when leasing a car? When you see a brand new Mercedes available for less than £200 a month, you’re going to assume that there are hundreds of pounds worth of hidden costs that they haven’t included in that price. You’re right to assume that because of course it isn’t going to be £200 a month. But it doesn’t mean that the extra costs are ‘hidden’ as such, they just aren’t staring you in the face. 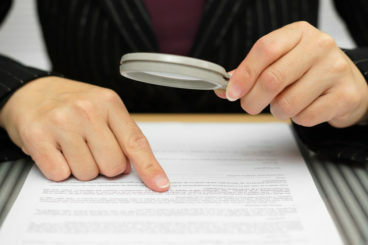 If you are dealing with a trustworthy broker, then they should be transparent on how much leasing a car will cost you. A BVRLA accredited company will have to do this because it’s part of their regulations. So, if you go through an accredited broker, then there shouldn’t be any cost that takes you by surprise. But there will be extra costs, and it’s important to know those beforehand so you can take them into consideration when thinking about your budget. It’s for this reason that we’ve written an article on extra costs when leasing a car. What are the Additional Costs When Leasing a Car? There are a few things that you should keep in mind when looking at car deals. While the monthly cost may look appealing, you should keep the following things in mind when looking at the overall cost of leasing a car. What Are the Extras to Think About Before You Lease a Car? A majority of the prices shown don’t include VAT which is fine if you are a business which is VAT registered but if you are a private individual when you include VAT that is actually £240 a month. There will always be the chance to negotiate when it comes to how much deposit you put down. However, the lower the price you pay upfront, the higher the monthly payments will be. While this isn’t a hidden cost as such, it’s something to think about when thinking about your budget and how much it will cost you monthly. The overall cost will stay the same irrespective how you split your payments up. Admin fees won’t be included in the cost of leasing your car. Dealerships don’t tend to charge an admin fee, so it’s understandable as to why people think that brokers shouldn’t either. However, this article on why you should pay admin fees should help explain why they’re necessary. While the admin fee may seem like a lot, a good broker should save you enough money that, even with the admin fee on top, you’re still paying less than you would do if you went to a dealer. What Are the Extra Costs During my Lease Contract? If you have a lease car, you have to service it. This is different to the standard MOT. The service is a regular check of your vehicle and can be done either by age or by mileage depending on the Make. The price of this service can vary greatly depending on what model you’ve chosen. You can read more about the maintenance involved with a lease car here. Petrol/Diesel: This might seem like an obvious one but running your car isn’t involved in the lease price. This is something you should acknowledge when thinking about how much your car will cost you monthly. Insurance: Insuring your lease car is your responsibility so this is also something that you need to include when working out your budget. Keep in mind that it has to be fully comp and that you are not the registered keeper, which has to be mentioned in the insurance contract. Read our article on the registered keeper of your lease car here. Are There Any Extra Costs at the End of my Lease Agreement? Wear and Tear: While this isn’t always an additional cost, it’s important to keep it in mind. You are liable for any damage to the car. At the end of the agreement you need to return the vehicle in an acceptable condition. If your car has been damaged you will need to get it repaired before handing the vehicle back. You won’t be charged for standard wear and tear, and a good vehicle broker should provide you with the BVRLA Fair Wear and Tear Guide. This is the criteria that all manufacturers must adhere to when judging a lease car at the end of the contract. If your lease car has experienced more than fair wear and tear, then you could end up paying more money at the end of your contract. Excess Mileage: If you go over your agreed mileage on your lease car then you will be subject to excess mileage charges at the end of the agreement. This charge can vary between models and how many miles you have gone over. You can read our in-depth guide to what happens when you go over your agreed mileage here. So there are a few costs that you need to take into account when choosing a lease contract. Although it may seem like a lot, even with all these costs, it is still usually cheaper to go through a broker than a dealership. However, the best thing to do is to get prices from both, including the extra costs we’ve mentioned above, and weigh up the pros and cons. Once you’ve done that, you can make an informed decision as to which option would be better for you in the long run. If you’ve opted for a finance agreement rather than a lease, such as a PCP or a contract purchase, then the only additional fee not stated in the list above is the purchase fee. This cost will be given to you at the start of your agreement and will be stated on the order form. The fee will vary depending on which finance house you’re using and the cost of the car you’ve chosen. You will then pay this fee at the end of your contract should you decide to buy your car. While there are extra costs to consider when leasing a car, there are no ‘hidden’ costs with leasing. Any trustworthy vehicle broker will make you aware of these costs before you sign anything. If they don’t, then it’s worth asking them about it or finding another broker who is willing to be completely transparent. You can read our article on how to tell if your vehicle broker is trustworthy here.